So we'd all like to open our door to a neatly organized, color coordinated pantry but how do we acheive this with all the different sized boxes and cans that the assortment of food we stock comes in? If you are one of those people who bring your groceries home and take them out of their boxes and transfer them to some beautiful, matching, stacking, perfect containers, I am totally envious. I love that look. However, in my house coming home with armloads of groceries for our family of five, with three little tikes in tow is a task in itself. Getting all the groceries put away is a miracle. Transfering them to pretty containers is not an option. 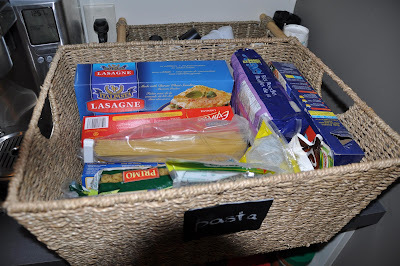 Instead I corralled all the spare baskets I could find around the house. I then created some slim wood plaques, (you can pick up small, thin, craft wood at Michaels that can be cut with a utility knife) painted them with chalkboard paint and hot glued them onto my baskets. 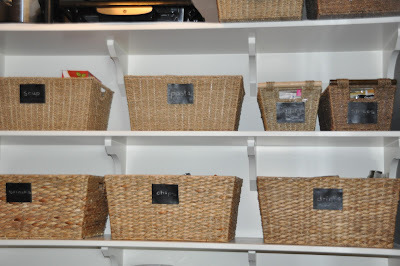 Now I can tuck all those mismatched, unsightly food containers into the baskets and I am still left with a tidy organized look. The best part, I can mark what is in the baskets on the little chalkboards and my husband can even find things in the pantry!! Here is an example of the inside of one of the baskets. That looks awesome Marci! So funny you were saying the same thing that I was about the fancy containers. I LOVE them too....but they just are not practical for my family either. 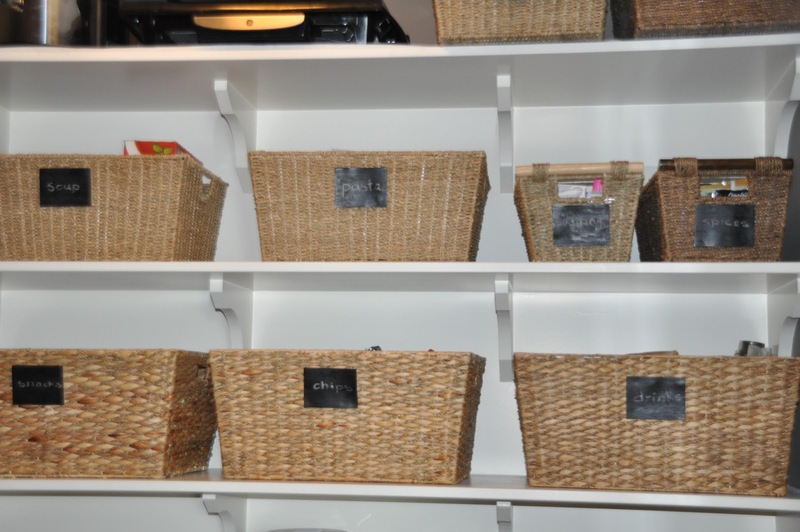 I wish I had the room to have more baskets like you have. Yours look great! But, we deal with what we have right? I don't know if you read my pantry post today or not, but I am doing basically the same thing with the labels. 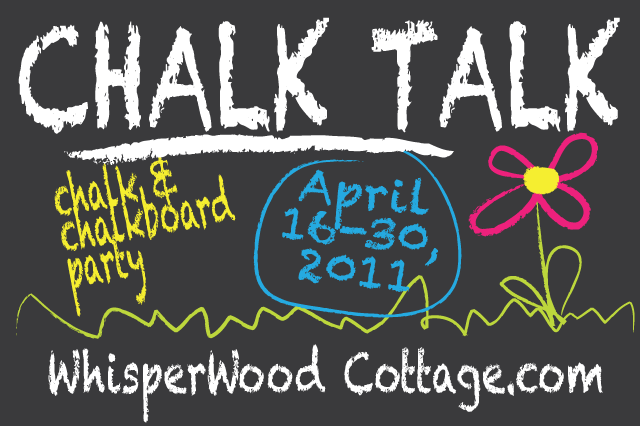 I got the chalkboard contact paper though and I'm going to hang them with twine. Thanks so much for linking your post up to my Organizing Mission Monday link party. Feel free to pick up my button for your post too. I like your idea, & it looks great. 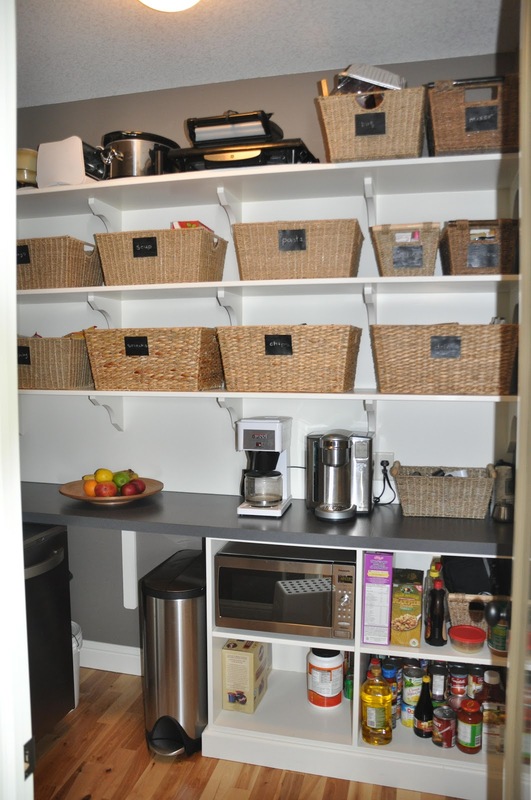 I have a really nice pantry right now that has pull-out drawers; but we are soon to move to a new house that has the regular type pantry with shelves. It's not overly big, so I'm not quite sure how I'm going to organize it. I almost feel that container or baskets would take up too much space, but I'll have to wait & see. I'm a new follower & hope you might visit my blog & follow back. Marci, I wanted to let you know that I am going to be featuring you today on my Organizing Mission link party week 16. Please stop by and pick up the "I'm Proud to be Featured on Organizing Mission Monday" button on my sidebar. What an awesome pantry and love the chalkboard tags idea for even the hubby! :) I have containers for my food but I also have some baskets as well. The basket idea is great because it doesn't have to look neat on the inside. Thank you for linking up to Roomspiration today!